My friend Tiff C. gave this bar to Robert for his birthday in July 2012. This bar was really good! Don’t be confused by their milk chocolate declaration. This chocolate has 41% cacao, almost four times what you’d find in a Hershey bar. This is essentially dark chocolate with milk in it. 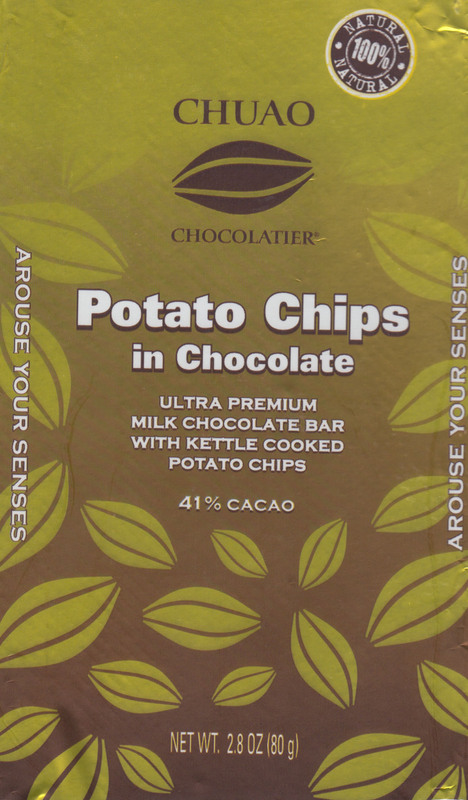 While I wish they made a dark chocolate version, with the added potato chips which are still crunchy and salty, this bar was very yummy indeed. This entry was posted in 2012, Gift, Milk chocolate, United States by Timothy Cain. Bookmark the permalink.